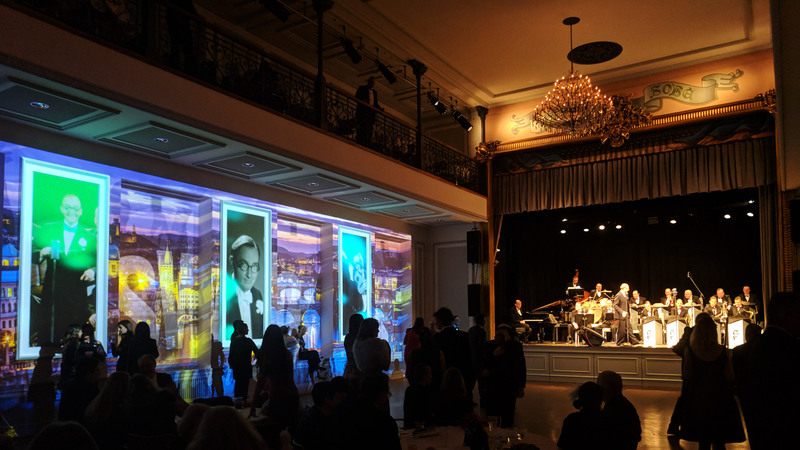 At the end of January, we were part of two amazing events at Bohemian National Hall in Upper East Side of New York City. 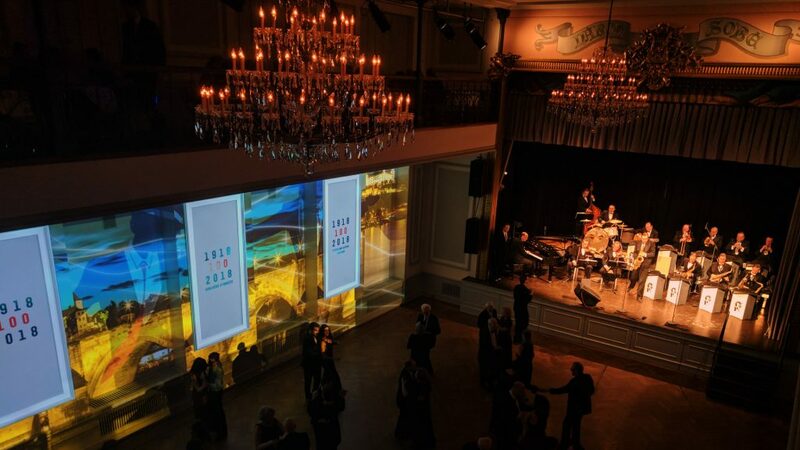 We were responsible for large video mapping on historical wall in the main ballroom. 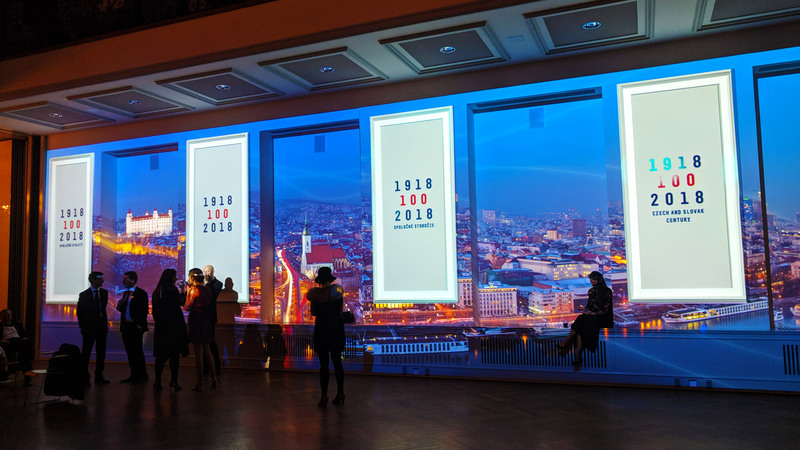 On January 27th, Czech General Consulate in cooperation with Czech Center in New York organized a ‘Swinging Centennial Bash’ to commemorate 100 years since Czechoslovakia’s founding in October 1918. The event is part of yearlong celebrations that take part around the globe. 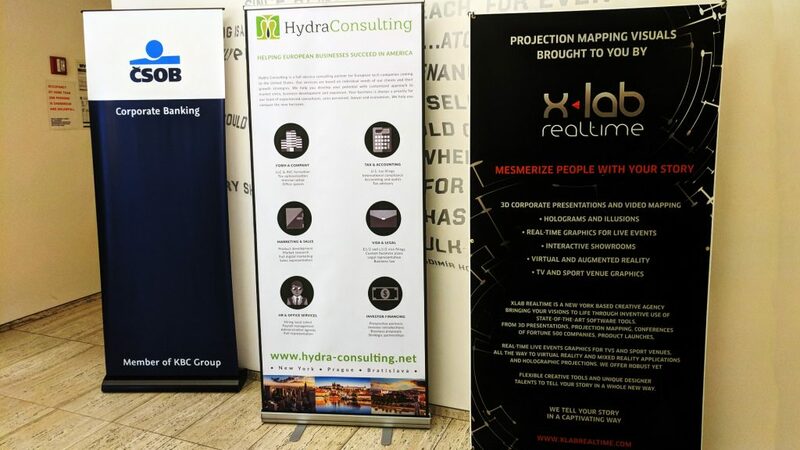 XLAB Realtime was honored to deliver a video mapping projection to showcase the history of the country since the republic was born. The set was a historical ballroom with a balcony upstairs where we placed two 10k projectors to light up an opposite wall. The wall itself had 4 ‘window-like protrusions’ that we had to take into account when preparing a video mapping. The video itself was a story of the country with its highs and lows over the last 100 years. The combination of visual and music elements left the audience humbled and in awe after the seven-minute show. The best reward for us was the never-ending audience’s applause. The second event took place just three days later at the very same place. 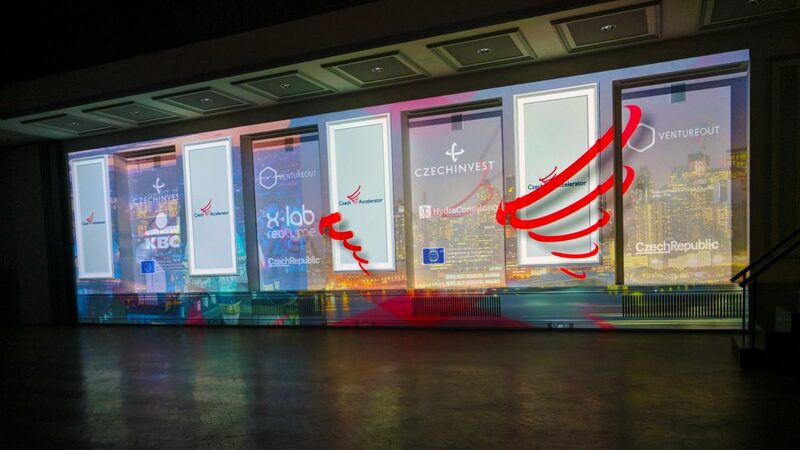 It was a launch party of the Czech Accelerator program in New York City organized by CzechInvest (Czech government agency that attracts foreign business to the Czech republic and helps Czech companies succeed abroad). The screening was done on the same wall, however the content was different. Our production team came up with an idea to show the biggest Czech inventors of all time whose inventions changed the world. 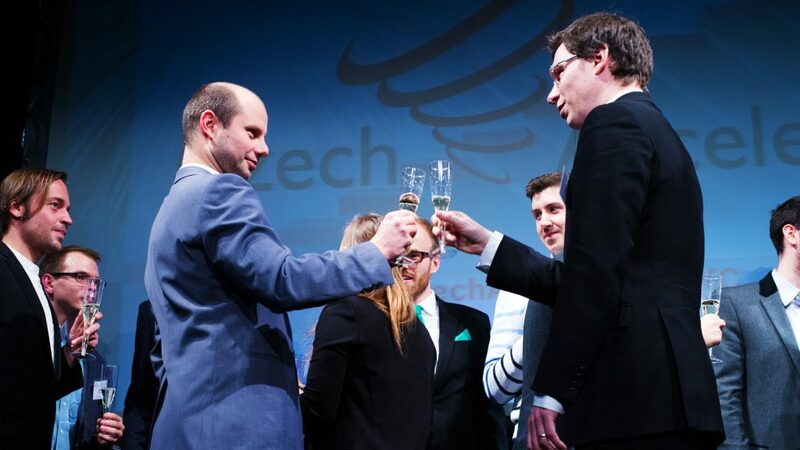 This was meant to show the start-ups that are part of the program that Czechs helped to shape the world with their inventions and they should not be afraid to do so, as well! Many in audience were moved and inspired by the presentation and this was also our goal. We used just two projectors for both shows. But what an impact they had! Even couple of them can make a huge difference and turn your next event into an unforgettable experience. Get in touch with us to learn more.